The Norfolk local EDP newspaper recently reported on an interesting Top Ten of Trip Advisor restaurant reviews in Norwich. 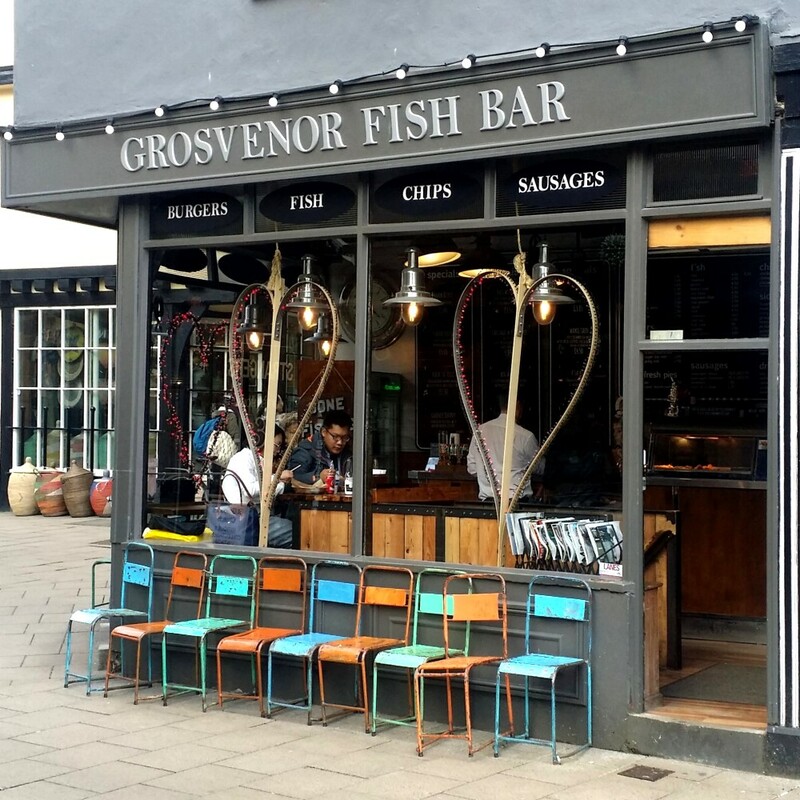 To locals, it was probably unsurprising that a fish and chip shop came first, namely, the renowned Grosvenor Fish Bar. I once saw a queue of some 100 people stretching back 50 yards from their entrance down the street on Fireworks night. 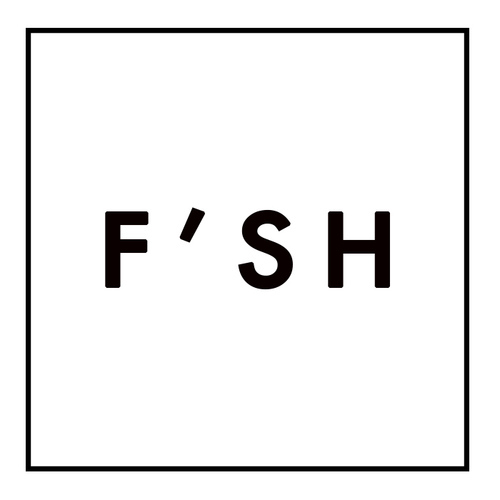 It has attracted over 1500+nearly faultless Trip Advisor reviews, consistently rating it 4-5 out of 5 (1200+ gave it top marks), ranking it #1 of over 600 restaurants in Norwich! Fish & Chips have been served for 90 years on the site. You can even bring in your own drink without corkage charges or have your fish and chips delivered to you at the Birdcage Pub opposite. Alternatively, you can enjoy your take-out in the summer and sit on the St Gregory’s green alongside or enjoy the 1940s reminiscent 70-seater vintage decor dining area downstairs. Quality: 9/10 – Consistent quality without pretension, no ‘posh’ chips here! Atmosphere: 8/10 – Downstairs dining takes you back to the War years! We managed to arrive unbooked at Cafe Pacifico, a long-established, former banana warehouse, Mexican restaurant/cantina despite it being 6pm on a Friday and get a table. Within half-an-hour, the place was packed and the bar buzzing. We sat straight down at an, unfortunately, poorly-lit table, the last between the main floor and the people drinking at the bar, waiting for tables. 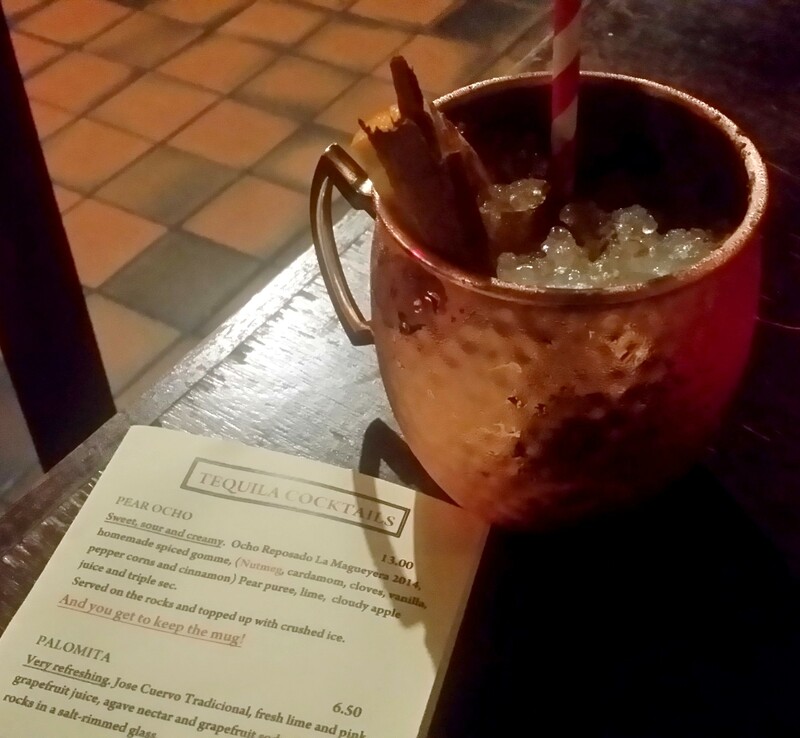 Fortunately, the drinks list was enticing from the well-stocked bar. We polished off quick Margaritas and a Mexican CabSav/Malbec (2014) which was very smooth and drinkable, meaning I had 3 fairly-priced glasses (although the size was not mentioned on the drinks menu) whilst my fellow diner had a cold Corona, followed by a house cocktail special – the Pear Ocho (Ocho reposado Tequila with peppery mulled spices, cloudy apple juice, triple sec etc), whilst I finished with an Añejo Tequila. Oh, we also ate! Whilst there was certainly a great drinks list, the Mexican food was good too. It wasn’t pretentious (dressing-up street or cantina food as a la carte) but nor was it an amorphous merged mess either, which some Mexican chains and low-end independents can be, thinking that piling it high in poor lighting under the shadow of a free sombrero will disguise a lack of originality and care in plating-up. Instead, the dishes were cleanly presented and clearly separated, either on the plate or in accompanying small bowls. 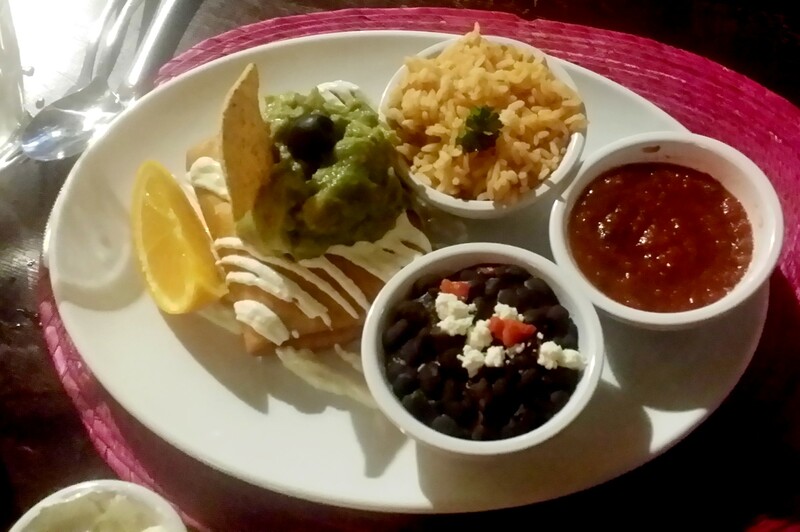 There were fun sharing options too, with the Antojitos platter for two at £13.75 including Quesadillas, Flautas, Empanadas and crispy crunchy Prawns Tempura in a nice light batter. The Jalapeño Poppers filled with cheese were only mild rather than a medium-hot that I prefer but still tangy with the melted cheese inside complementing the pepper’s bitter skin and breaded crunch. The roughly £11-each Burrito and Chimichangas, that we had, were both very pleasant. I felt the ground beef burrito had a more robust flavour, but the chicken chimichanga was, nevertheless, fresh and tasty, and a contrast with other stronger flavours. Nothing was too hot (though I perhaps should have asked for optional increased heat and spice), and there were plenty of sides and sauces to dip or daub to add heat or coolness, as desired. Next time I plan to try the Boquerones Fritos al Chili and the Pan-fried fresh Sea Bass on banana leaves with sun-dried tomato salsa sounds like a fresh option on a Mexican menu. We finished with Churros dipped in a rich spicy chocolate sauce that had a gentle kick. The waiter spoke Spanish, as did I, so the service was friendly and bilingual; when we needed another member of staff they were easy to get hold of and friendly. The staff looked very busy and quick on their feet. Despite being sat next to a family table with several kids, it was not disturbing as the overall atmosphere was loud and bustling, but not so that you couldn’t hear yourself. Access: A half-dozen steps up to raised-ground floor entry but no lift or ramp, narrow mobility passage between tables.